This means making a YouTube video instead of performing your speech live in class. But seriously, don’t just phone it in — if you choose this option, really make an effort to produce something people would want to watch. Whether you give a traditional, in-person S3 or you choose the S5 option, same grading structure applies (write-out, rehearsals, self-assessment, and so on). Let me know if you plan to use this option! The goal for class was to discuss the delivery strategies illustrated by these speakers. 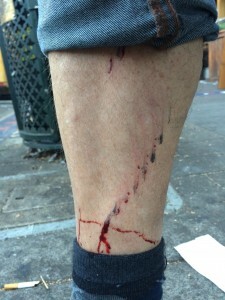 REMEMBER to meet at the intersection of Haight St. & Stanyan St. on Thursday. If it’s raining, the ride is canceled — meet at the classroom instead. If you are not sure, text me. Watch one video from column A and one from column B. Write a post to your blog thinking about YouTube voice — would it be a good strategy for you as a public speaker? Some excerpts from FDR’s “Four Freedoms” speech, the State of the Union address in 1941. Political speeches were very different in those days (radio was still new; broadcast television was in its infancy). Invitation to comment: compare Roosevelt’s style to Obama’s or Bush’s. For class today, you have two tasks. Both are part of the rhetorical process of INVENTION (coming up with ideas about what to say, and appropriate arguments or strategies to use). You can update or edit this post after class–we’ll work on developing your ideas. Second, prepare a 1-minute, 1-slide topic pitch. Let us know a little bit about what you’re interested in, why, and what audience you’d like to influence. If you are having trouble thinking of an appropriate topic, don’t worry! We’ll keep working on it! If anything makes you think, “huh, weird” — that’s probably a good thing to investigate. Pick something that is connected to your own interests or experience. Sometimes people pick something because it seems like it will be easy to find lots of information. I disagree with this strategy, because it means the person is not challenging themselves. And if information is easy to find, why do we need a presentation on it? Respect yourself, respect your audience, don’t be afraid to dig. I thought this video was pretty hilarious — but it does a good job of presenting some common practices in interviewing people for information about the attitudes and experiences. There are 2 main tasks to complete for class on Thursday. In Module 3, we’re focusing on analysis for decision-makers. For class Thursday, read these two articles from the New York Times. One, “If Kant Were a New York Cyclist,” by Randy Cohen, addresses the ethics of cyclist behavior from a philosopher’s point of view. Optional: in this 3-minute video, Randy Cohen talks about the ethics of driving. The second, “Is It O.K. to Kill Cyclists?” by San Francisco writer Daniel Duane, examines the consequences of collisions–his focus isn’t so much the behavior of motorists, but rather the attitudes represented legal decisions about consequences for drivers. Optional: You can watch Dan Duane talk about learning to cook in this 3-minute video. And here, he’ll show you how to open a beer with a carabiner. These have nothing to do with bicycles, but are linked her to show spoken communication. After you read the two articles, write a post for your blog. Your post should include your thoughts about the two articles (one or both). Include in your post some connection to your own knowledge or experiences (as both Cohen and Duane do). 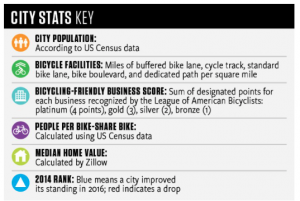 According to these metrics, Bicycling magazine considers Chicago to be the best bike city in the US, with San Francisco in 2nd place. Be careful out there, folks! 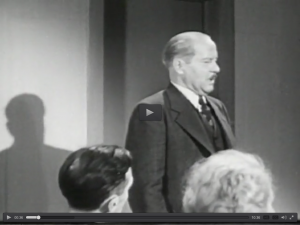 This film, Build Your Vocabulary (1948), shows how a bumbling citizen learns to speak effectively at a town meeting. The 20th century was a time of great proliferation of extremely tedious instructional films, many of which have been collected by San Francisco’s great treasure, the Prelinger Archive.